Personnel safety ranks at the top of concerns at any industrial site. Protection for hazardous gases is one facet of a comprehensive safety program. 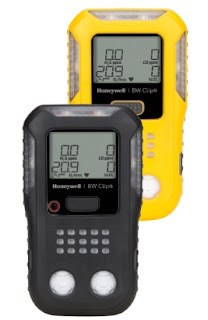 Honeywell Analytics is releasing a wearable multi-gas detector for use on personnel working in industrial environments. The ergonomic unit runs continuously for two years and eliminates the need for charging or sensor replacements. Monitored gases included H2S, CO, O2, and combustibles. More detail can be found in the datasheet included below, or you can reach out to an industrial product specialist, combining your facility and process knowledge with their product expertise to develop effective solutions. Wearable Multi-Gas Detector for Personnel Safety from Hile Controls of Alabama, Inc.